If you are a lawyer in Jacksonville or are working for a Jacksonville law office, it is important to know the changes in the rules of court procedure. 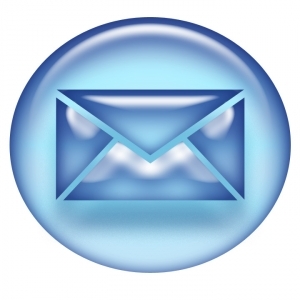 The Florida Supreme Court has issued an opinion about email service in all court cases. Service must be made by email for most attorneys in compliance with the new rule 2.516. A portion of the Supreme Court opinion is listed below. For family lawyers in Jacksonville and Jacksonville divorce attorneys, you will need to serve documents by email starting September 1, 2012. If you are a Jacksonville foreclosure defense lawyer, you will be filing under the Florida civil rules of procedure, so all your Florida foreclosure pleadings and documents must be served by email as of September of this year. This September start date applies to all Jacksonville lawyers filing appeals and practicing in civil, probate, small claims, and family law courts. If you are a Jacksonville criminal lawyer the Florida Criminal Rules of Procedure will not be mandatory until October 1, 2013. This applies to misdemeanor and felony charges. The same is true if you are a Jacksonville juvenile lawyer. If you handle Jacksonville traffic tickets or are a Florida speeding ticket lawyer, the email service requirement will not apply to you until October of 2013, as well. If you are a Jacksonville ticket lawyer, criminal attorney, or juvenile defense lawyer, you may choose to serve by email after September 1, 2012 and before October 1, 2013.